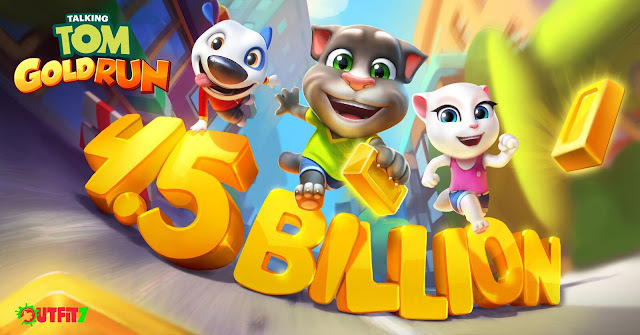 There's been a heist and it is up to you to track down all the stolen gold in the newest addition to the popular Talking Tom and Friends mobile app video game franchise. 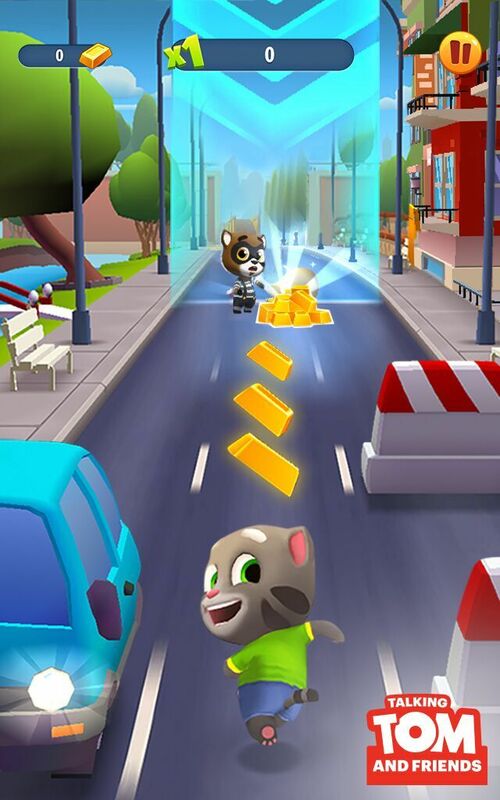 Talking Tom Gold Run, from Outfit7, begins with a robbery causing the players to run as fast as possible to retrieve the fallen gold bars, dodge obstacles and collect rewards. Each component of the game allows players to "Go for the Gold" as they help Talking Tom and Friends utilize the gold they've collected to build their dream homes. Featuring seven worlds to unlock, as a player progresses in building his or her character's house new building upgrades, characters, and running segments become available within the game. With Talking Tom and Friends apps reaching more than 4.5 billion downloads worldwide you know Outfit7 is doing something right when it designs these video games for mobile devices. 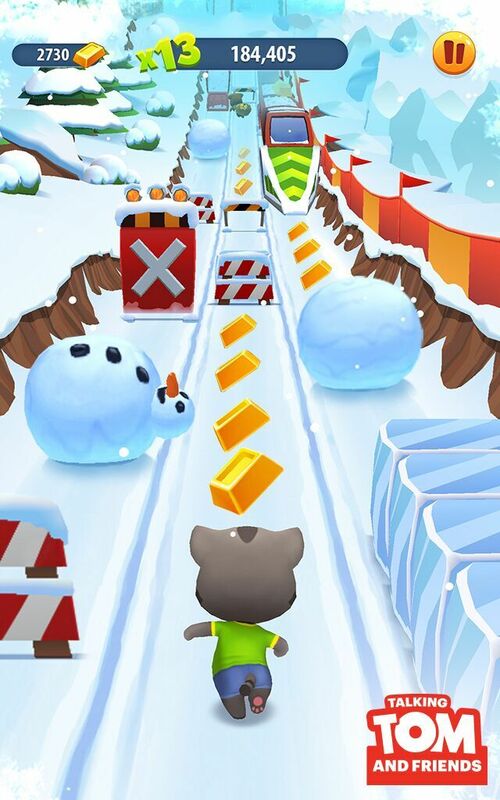 For example, Talking Tom Gold Run expands beyond the standard mechanics of a runner game by giving players a reason to run in the dream home construction aspect of the game. Vibrant graphics combined with intricately designed levels don't just provide for fun game play but also allow players to experience an ongoing story through the eyes of Talking Tom and the gang. "Talking Tom Gold Run draws the player in with an interactive storyline, top-notch graphics and iconic characters that users have come to know and love," founder and CEO of Outfit7 told A Geek Daddy. "We guarantee the gamer will never get bored with so many unique worlds and segments to unlock." 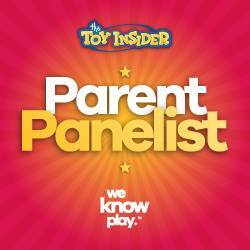 Talking Tom Gold Run is FREE to download on GooglePlay Store, Apple App Store, Windows Store, and Amazon. 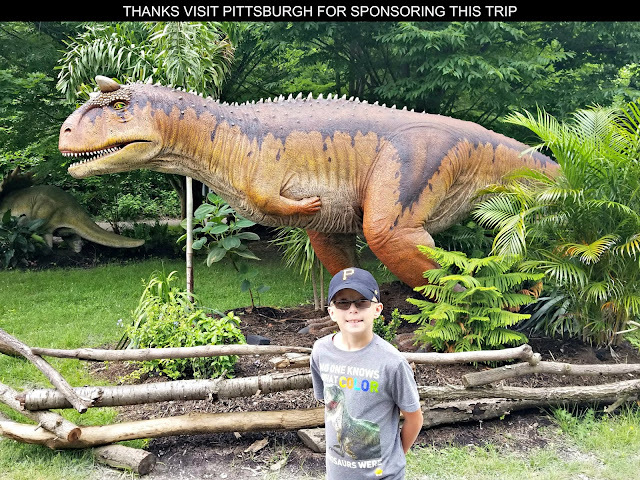 It does include in-app purchase options so if your kids are playing make sure to keep your parental control feature activated on the mobile devices just to make sure mom and dad are approving of any purchases. The game also contains social features which allows players to connect with friends through Facebook and share high scores.